Why do I need to know about chakras? The chakras are a powerful guide to understanding your body’s energy system. 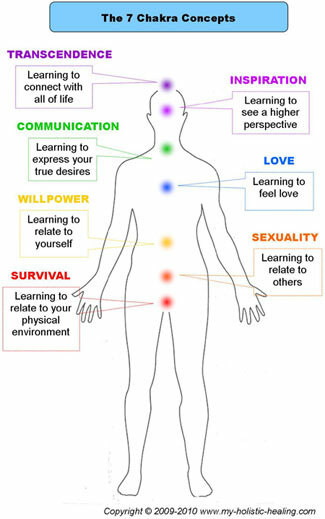 Once you understand the concept of each chakra, you can begin to understand the reasons behind the state of your body. This is the essence of chakra healing. Represents a life theme and challenge. 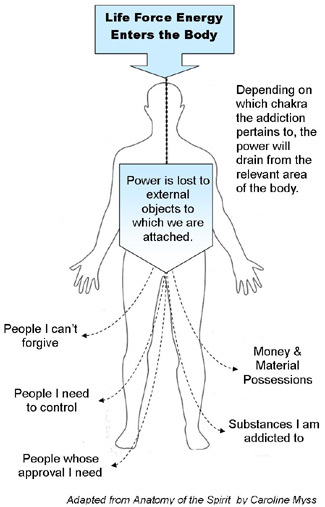 Before we explain the chakras as an energy system, we must understand how our body, mind and soul use energy as power. 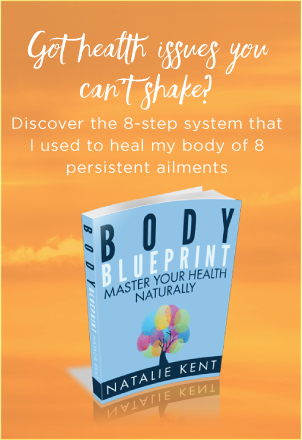 The Body as an Energy System – What powers the body? Energy is synonymous with power. When we expend energy, we create power. In life, we have a choice about how we use our power. How we live our lives will either deplete our power and make us feel power-less or retain our power and make us feel power-ful. It is a fine balance that we spend our lives trying to master. The aim is to use our power to feel em-powered. Certain behaviours will inevitably drain our power such as giving our power to others, past events, anything outside of our selves that does not serve us. Or we can choose empowering behaviours that uplift our spirits, give us the resources to fulfil our purpose and feel physically and emotionally strong. In order to heal, you need power, on all levels. If you don’t feel powerful, you will lack the strength to heal. When you are disempowered, you are recreating the past in your future. When you are empowered, you are creating a better future. You are healing the past. Power is the key to fulfilling our body, mind and soul. The Chakras as an Energy System – What is a Chakra? Originating in India, the word ‘chakra’ is sanskrit for ‘wheel’ or ‘disc’. The chakras are the major vortices of energy which act as the junction points between mind and matter. They allow us to intake life force energy to fuel our bodies. A chakra is shaped and acts like a funnel that directs energy into major intake points of the body. When the chakras are blocked or closed, our energy intake is diminished and we start to lose our ability to function at an optimal level. Chakras are imperceptible to those who do not have extra sensory perception (ESP) however, they are very much responsible for the amount of energy that pulsates through our bodies and keeps us feeling energised and empowered. 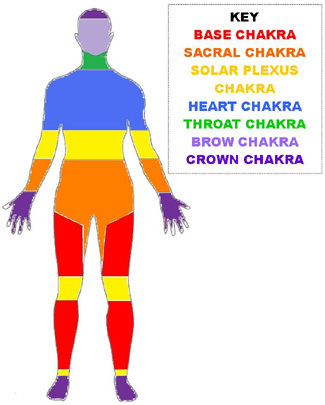 The areas of the body governed by these chakras are shown by colour in the diagram below. The Chakras as a Self-Mastery System – What is the purpose of chakras? The purpose of chakra healing is to better understand personal strengths and weaknesses and how they influence the state of your body as an energy system. Chakras provide a framework for you to understand your tendencies, behaviours and habits so that you can learn better ways of being. In other words, moving through the stages of unhealthy to healthy – those ways of being that serve you to make you happy on all levels. Understanding the chakras will take you on a journey through your physical, emotional and psychological makeup, bringing your attention to the areas in your life that require healing. The chakras are your springboard to physical, emotional, mental and spiritual health and well-being. Chakra healing will take you on a journey of self-discovery through aspects of yourself that you thought didn’t exist, both wonderous and tragic aspects which come to your attention to be healed and integrated into a more balanced, peaceful and joyful you. Using the Chakra Pages – How do I begin my chakra healing journey? The best way to use the chakra pages is to refer to the chakra that governs any ailment or illness you may currently have. This follows the principle of listening to your body. You don’t need to have any ailments or illness to experience the benefits of chakra healing. First, try reading through all of the chakra pages first. You may find one or more you are drawn to read again – start with these and see where your new level of awareness takes you. If you wish to delve further, you may wish to see a chakra healing practitioner. As you delve further into chakra healing by understanding the link between your mind and body, you will find just how accurate the chakras are as a reflection of human nature. Physical dis-ease is caused by our ignorance of the life-lessons inherent in the chakras. We begin our chakra healing journey with the Base Chakra. Return from Chakra Healing to My Holistic Healing homepage.